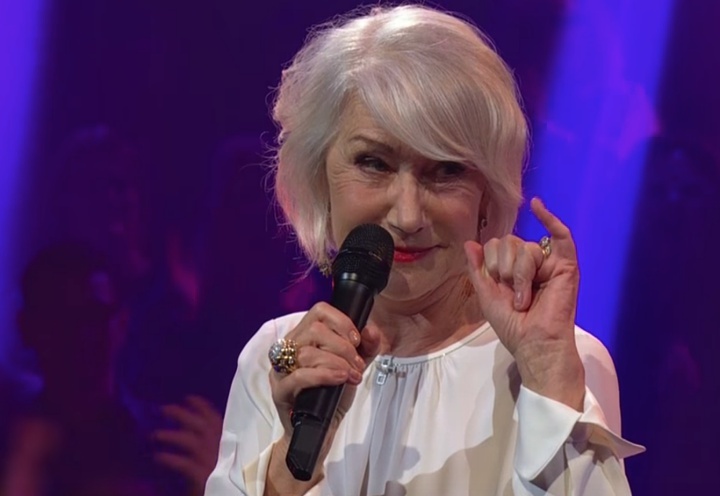 On The Late Late Show‘s latest edition of “Drop the Mic”, Dame Helen kindly played along as James Corden had his say and then in the space of a minute, totally destroyed him … thrice. This is by far the best thing you’ll see and hear today. Favorite line: “Compare me to Meryl, Judi, Maggie, but why? They’re not my competition, they’re my ride or die” (course, that “Mr. Tingle” line was pretty good, too). 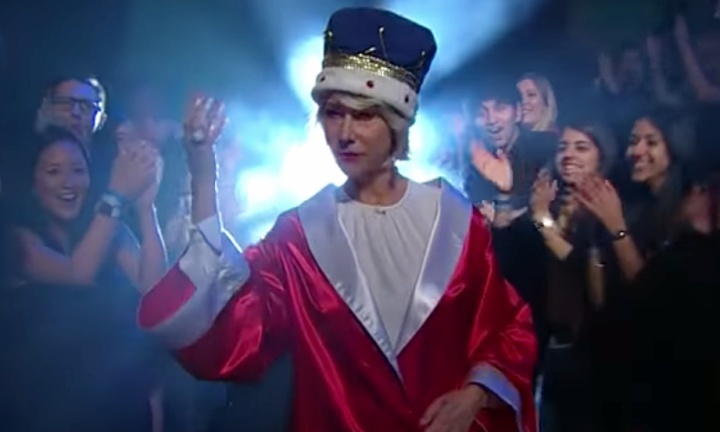 Tags: Helen MirrenHelen Mirren can rapHelen Mirren Drop the MicHelen Mirren rapHelen Mirren rap battleHelen Mirren rap battle James CordenI taught your little Mr. TingleThe Late Late Show with James CordenThey're not my competition they're my ride or die. Next story What’s Happening in This Spoilerific Season 8 Game of Thrones Video? Funky Fashion Friday: Loving and Frenchmen and Danger, Oh My!